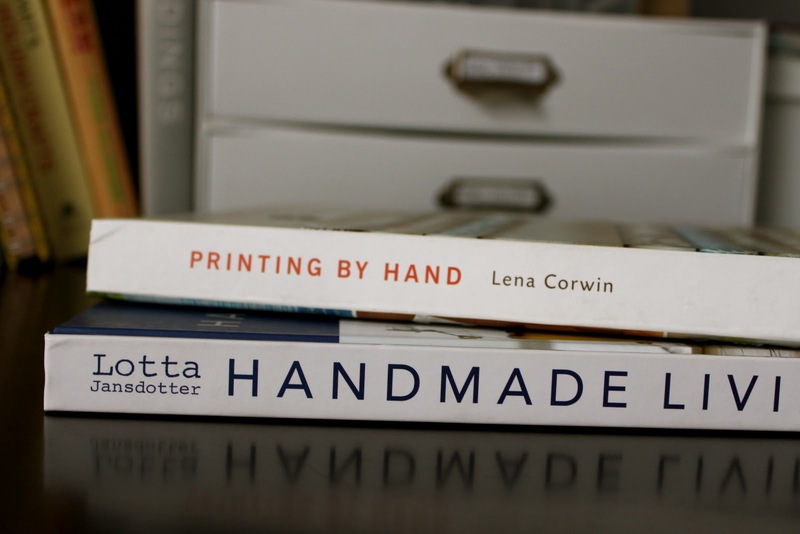 lately, i've been finding inspiration in these books. they've been on my amazon wish list for a while now and i finally buckled down and purchased them. 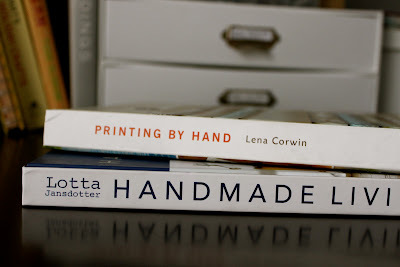 both are amazing, and to be honest, printing by hand is definitely my favorite. the projects are simplistic, clean and modern. not to mention, she provides some of the designs used throughout the book for personal use. yay! 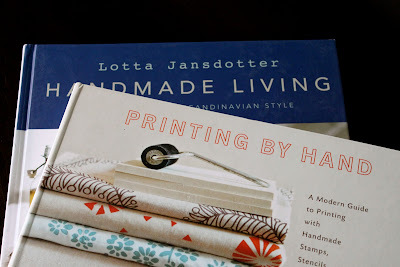 handmade living has some beautiful pictures and a lot of great decorating ideas. there's not a lot of how-to and more recipes than projects, but the amount of inspiration wrapped within the pages makes it a great purchase. i'm excited to bring a few of these elements to our home and promise to share the results when i do. here's wishing you a happy and inspired weekend!